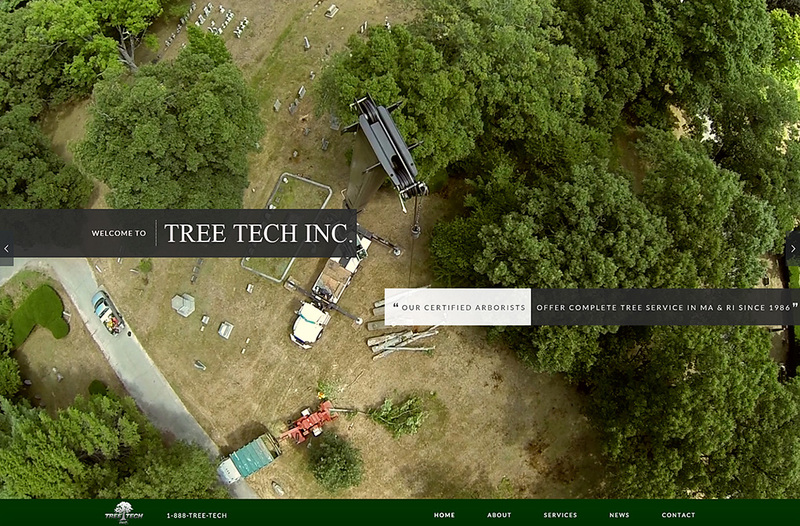 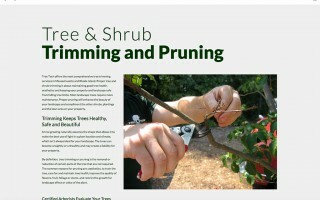 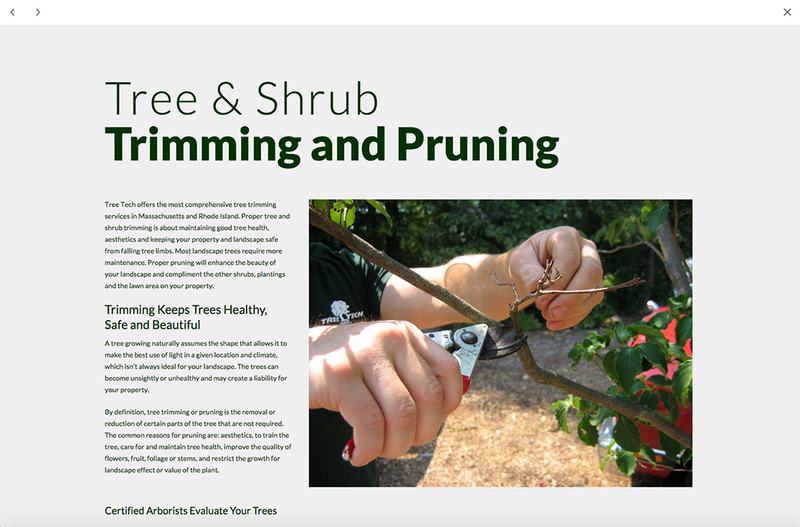 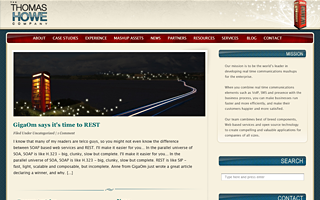 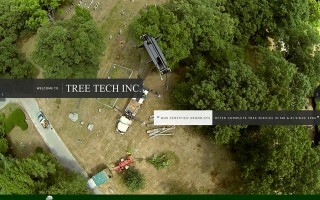 Wordpress Theme Customization and Development – Tree Tech Inc. 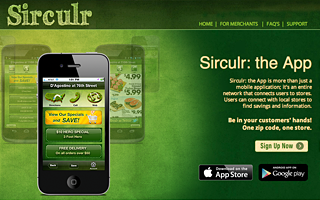 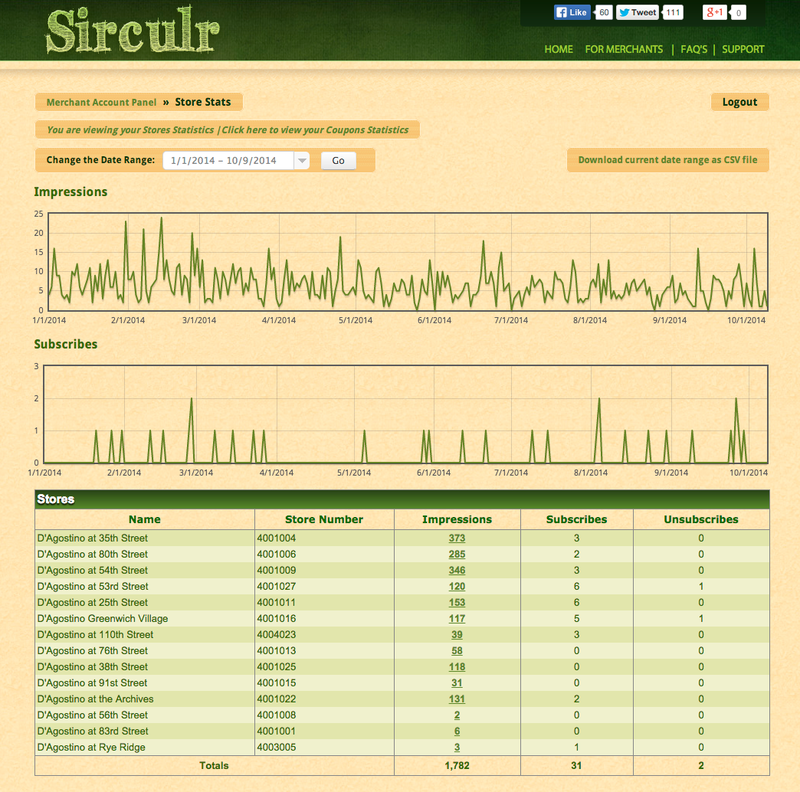 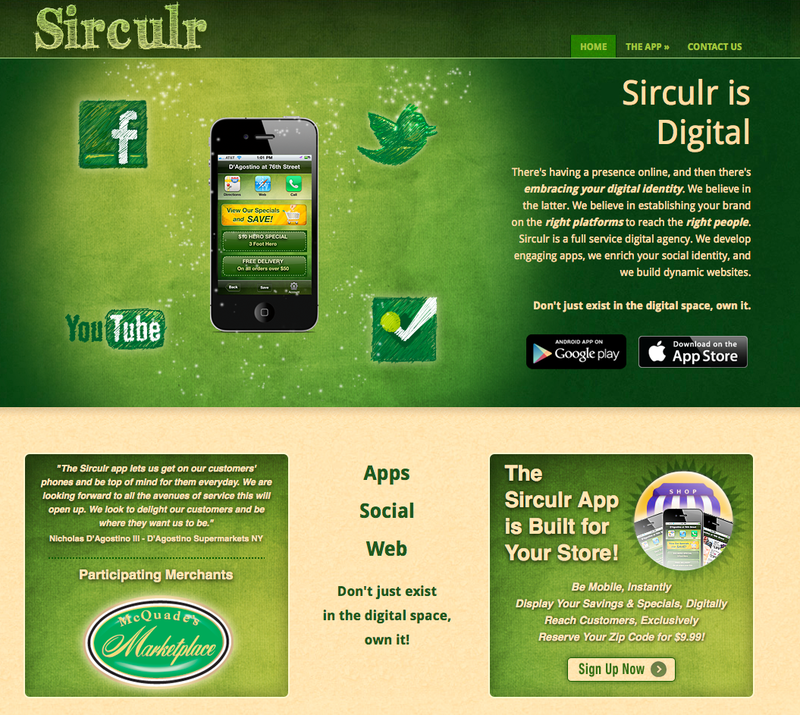 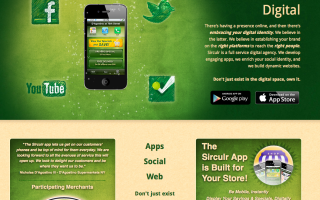 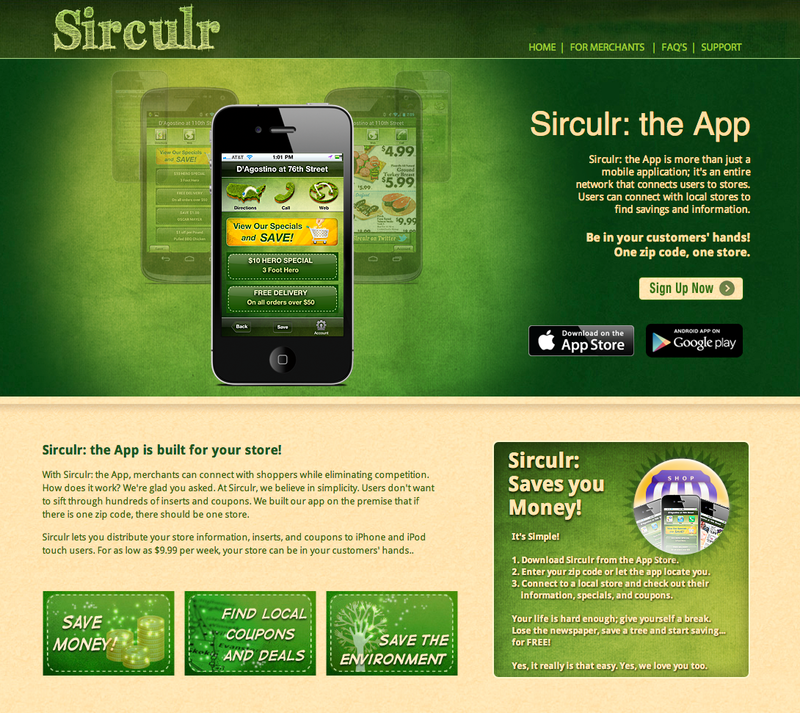 Mobile Application Development – The Sirculr App for iPhone & Android. 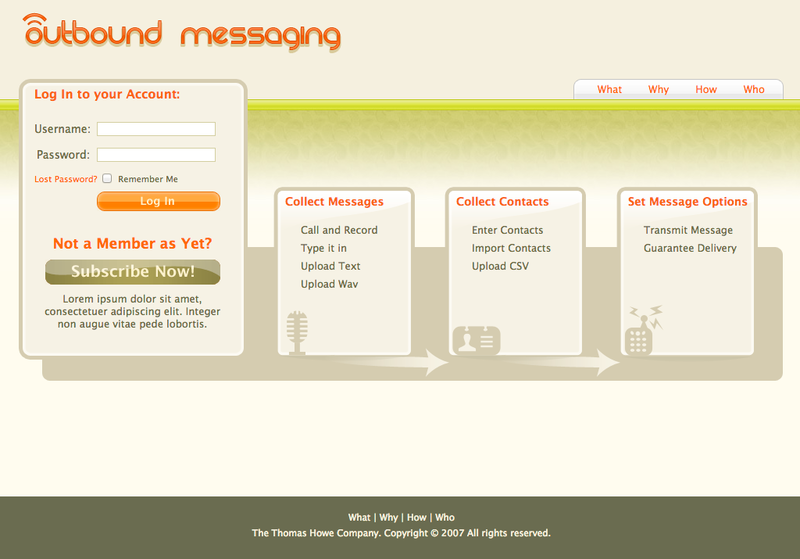 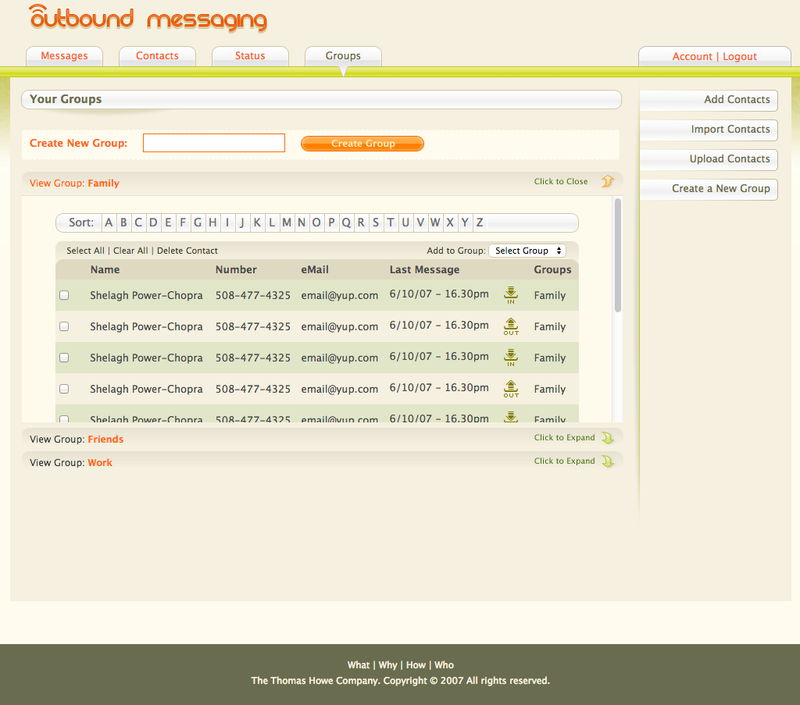 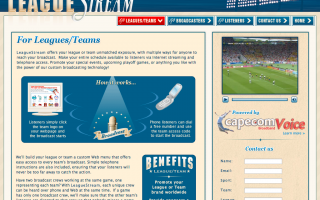 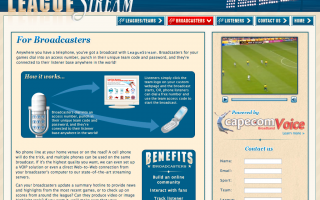 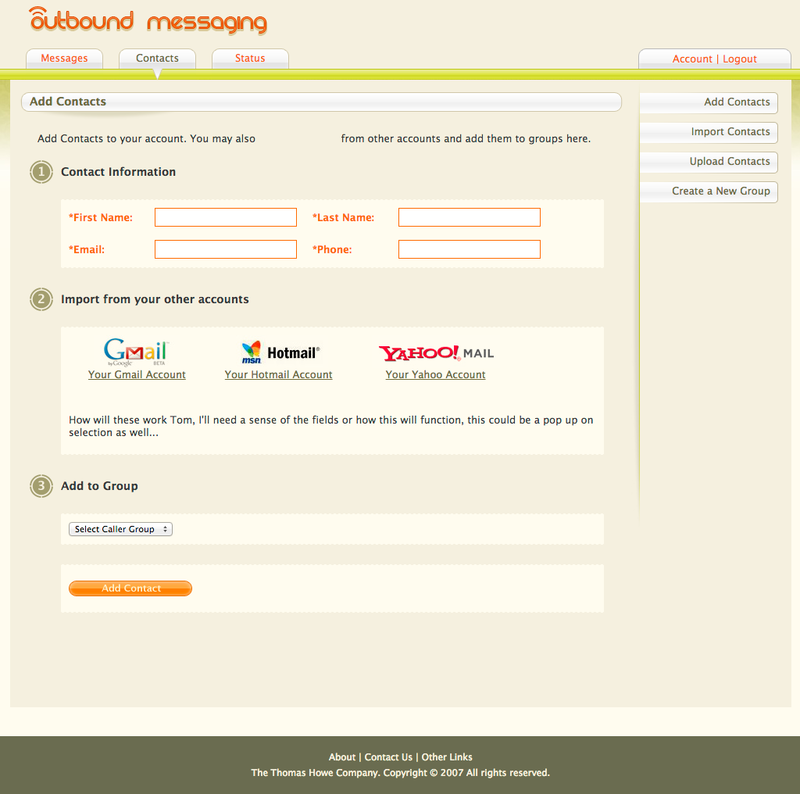 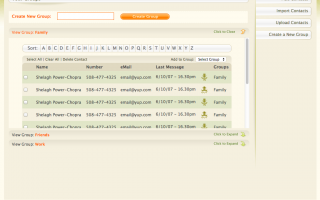 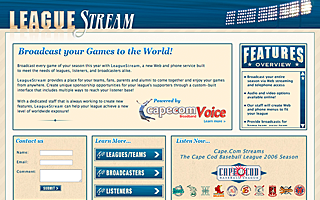 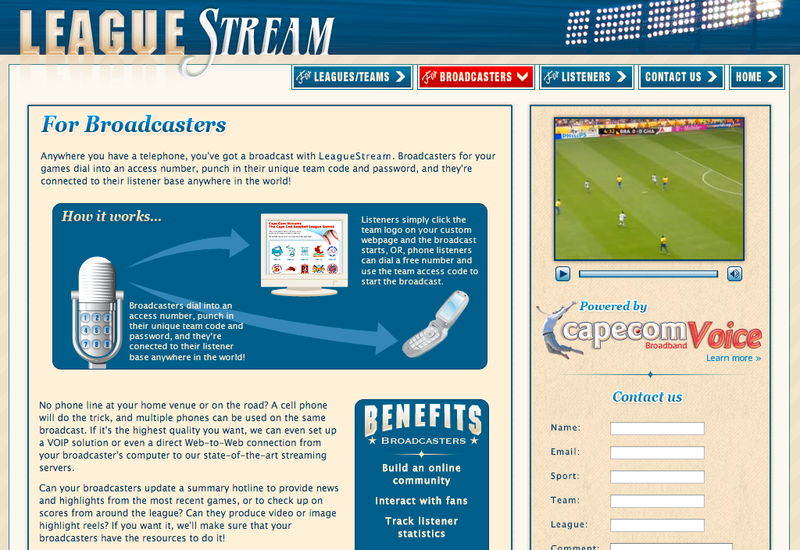 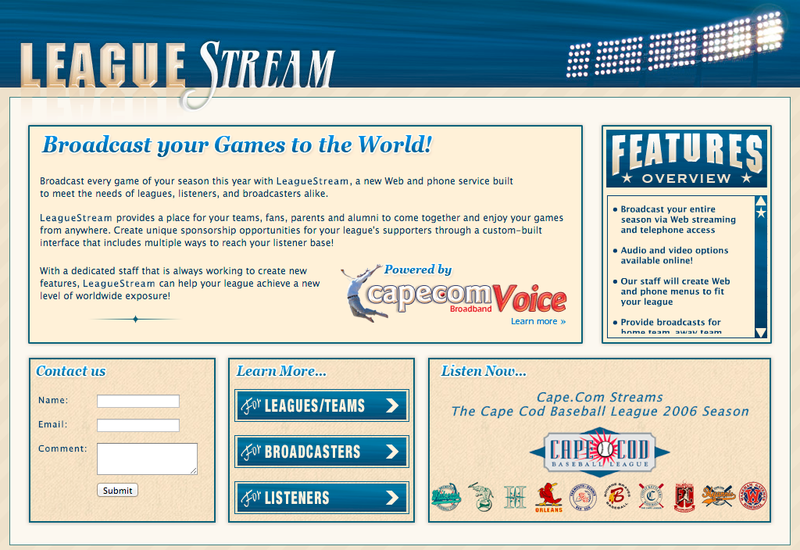 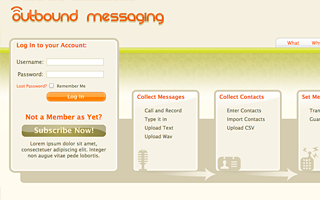 Leaguestream Home Page, VOIP Application front end site for Cape.com, design, markup and flash videos. 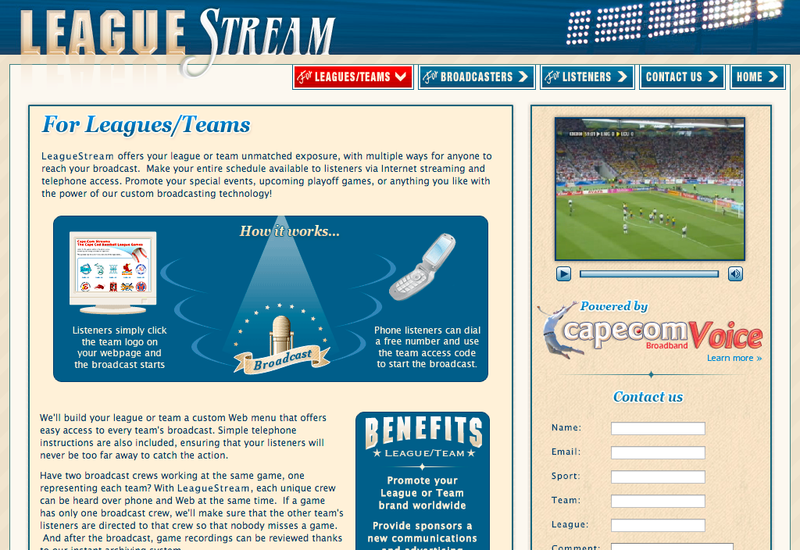 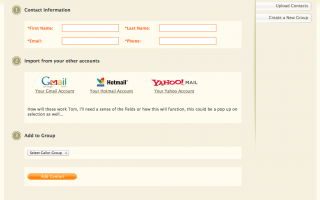 Leaguestream Interior page, VOIP Application front end site for Cape.com, design, markup and flash videos. 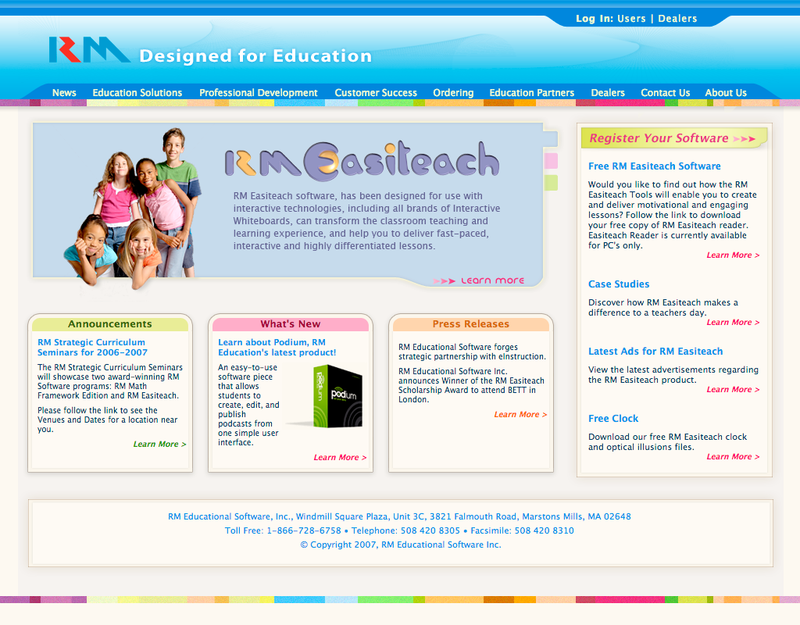 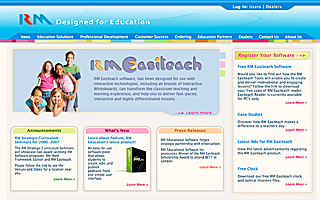 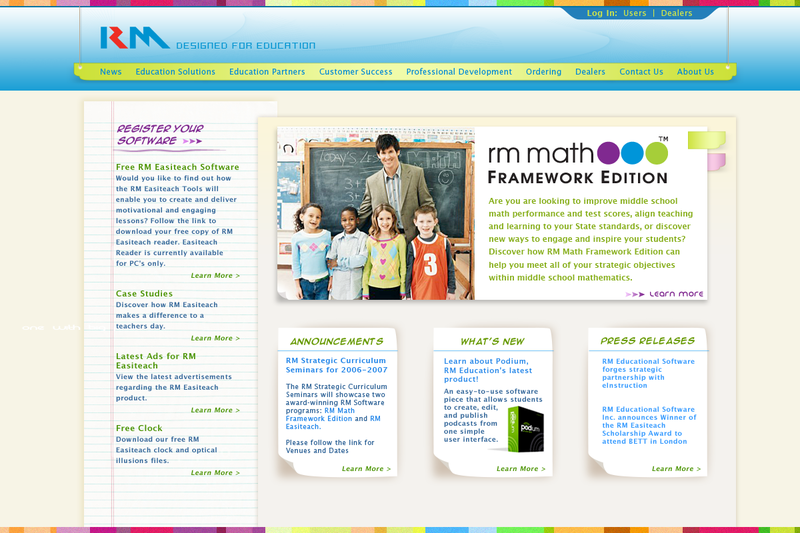 RM Education, Drupal, design, markup and flash videos. 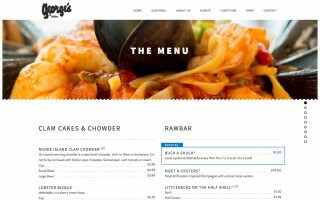 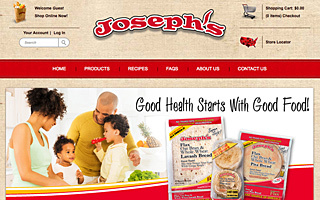 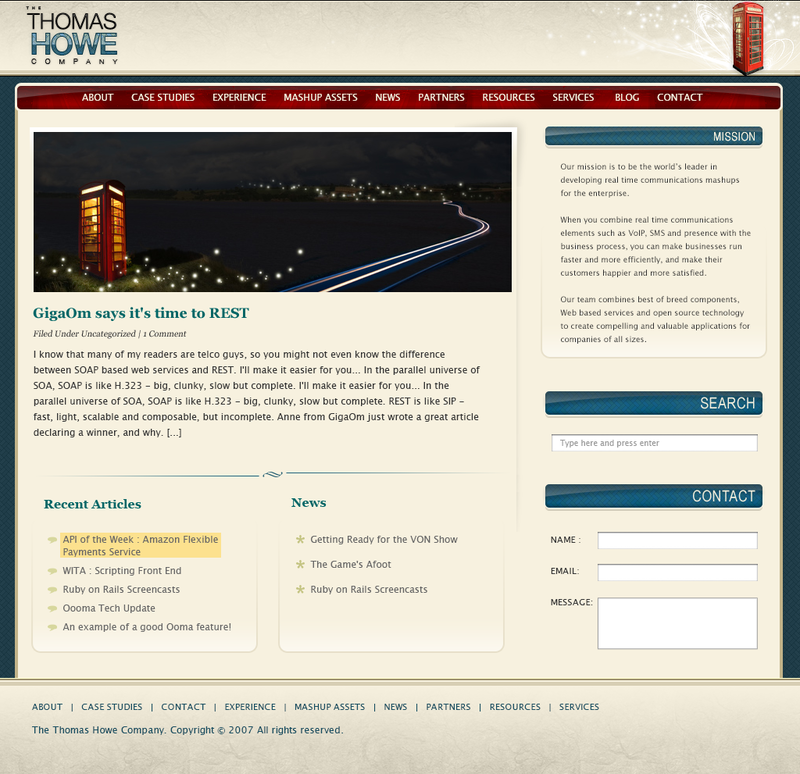 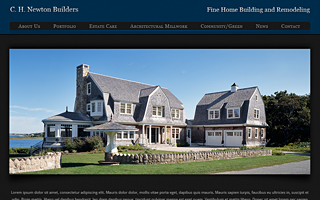 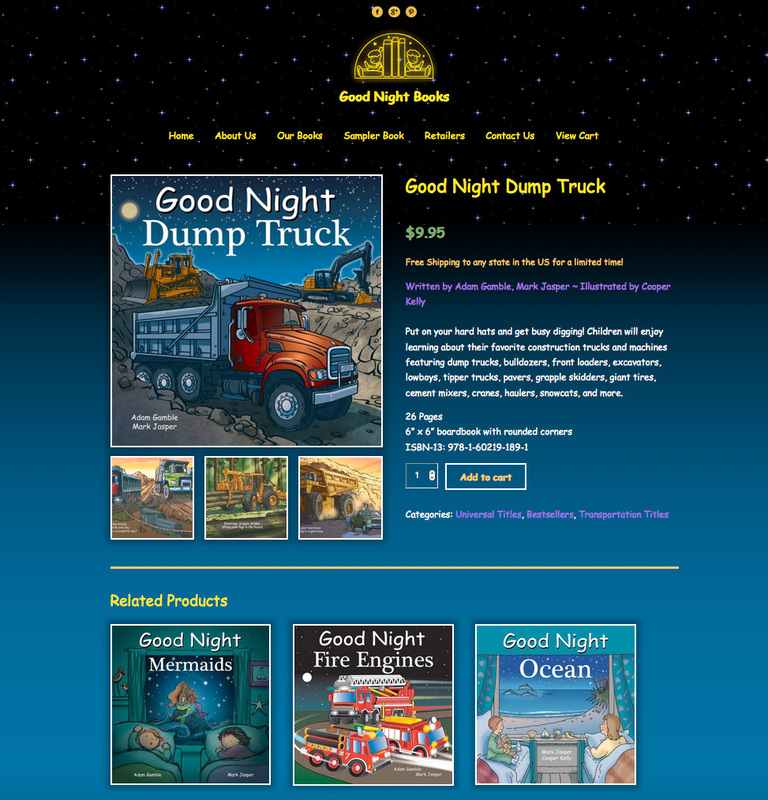 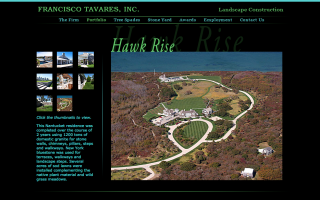 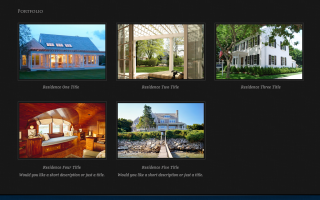 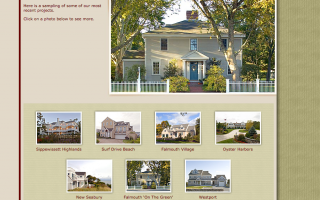 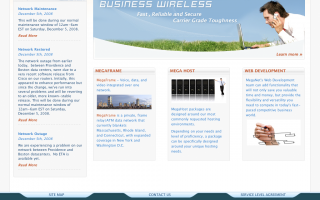 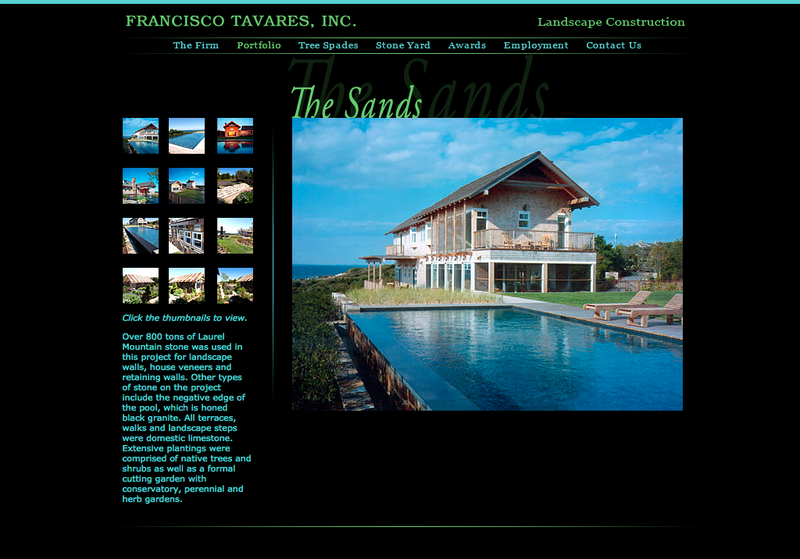 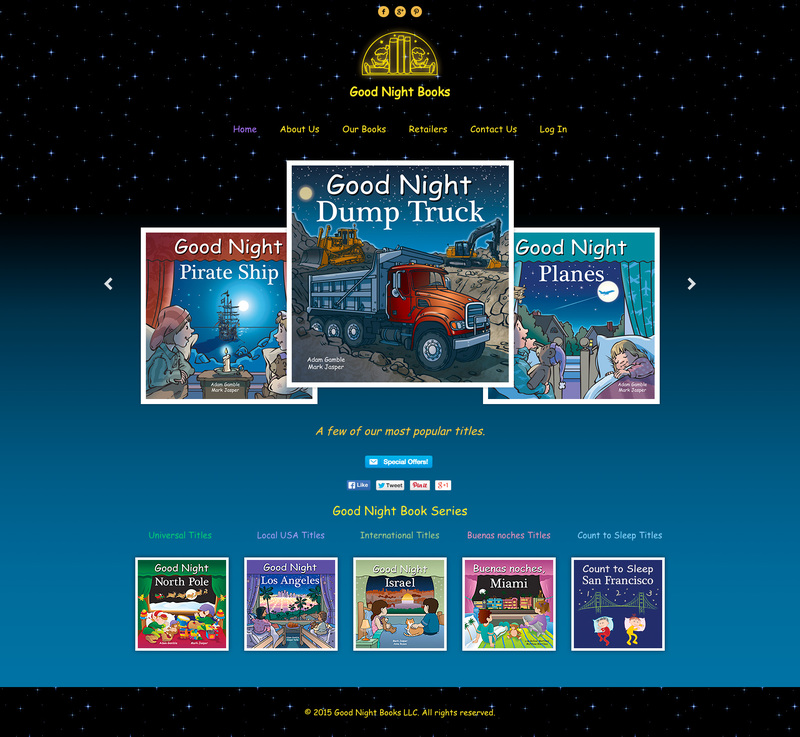 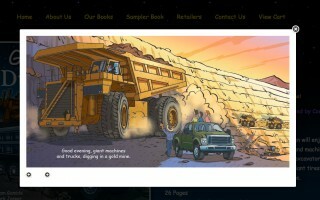 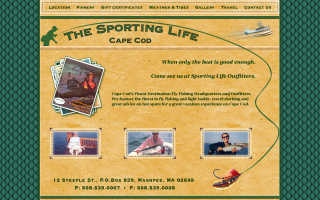 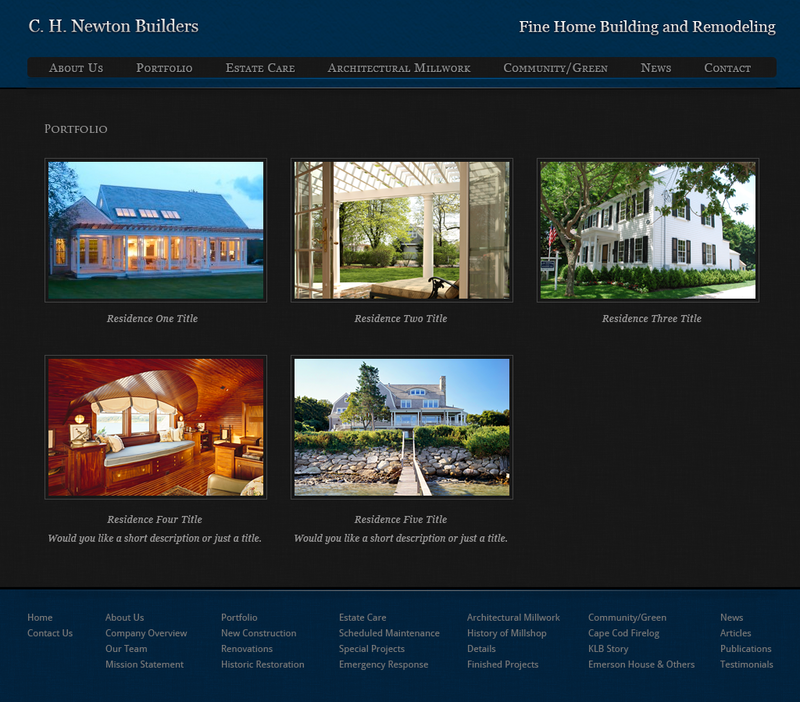 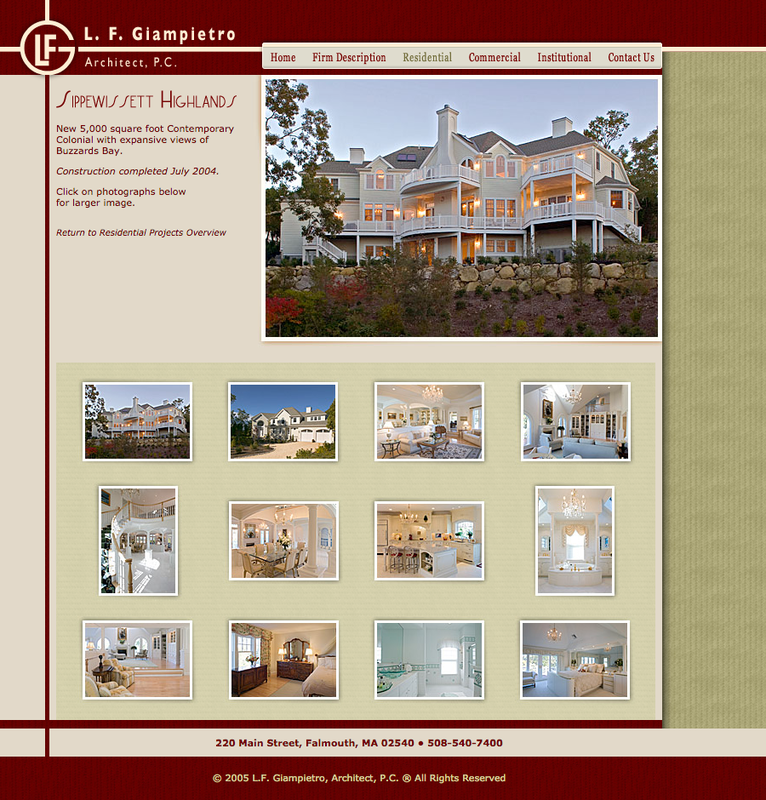 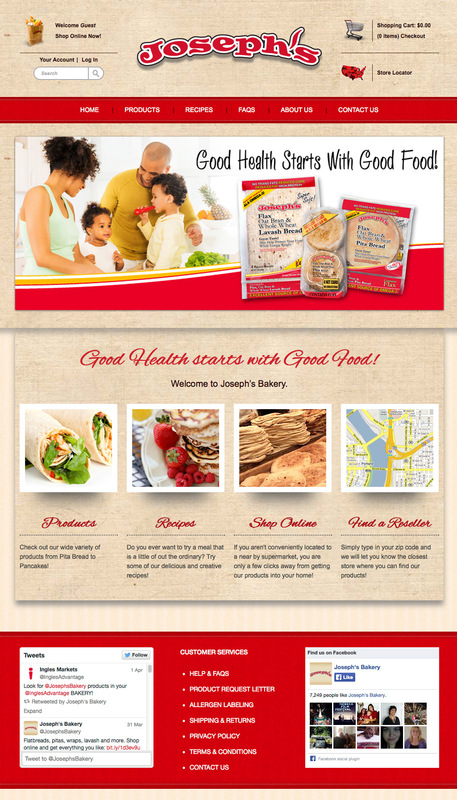 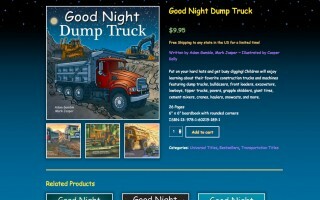 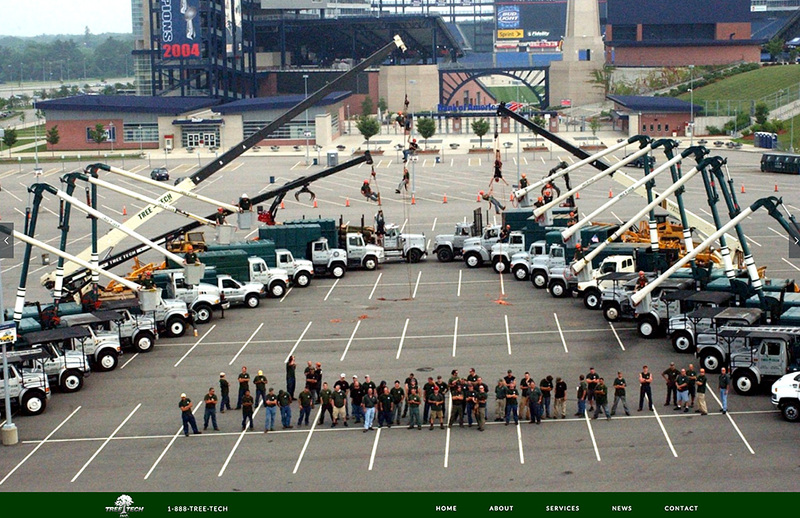 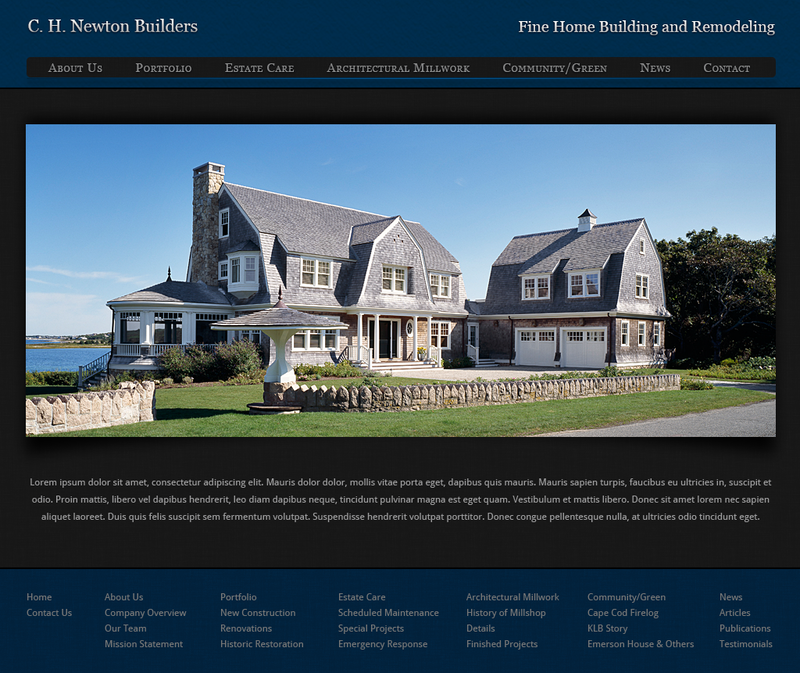 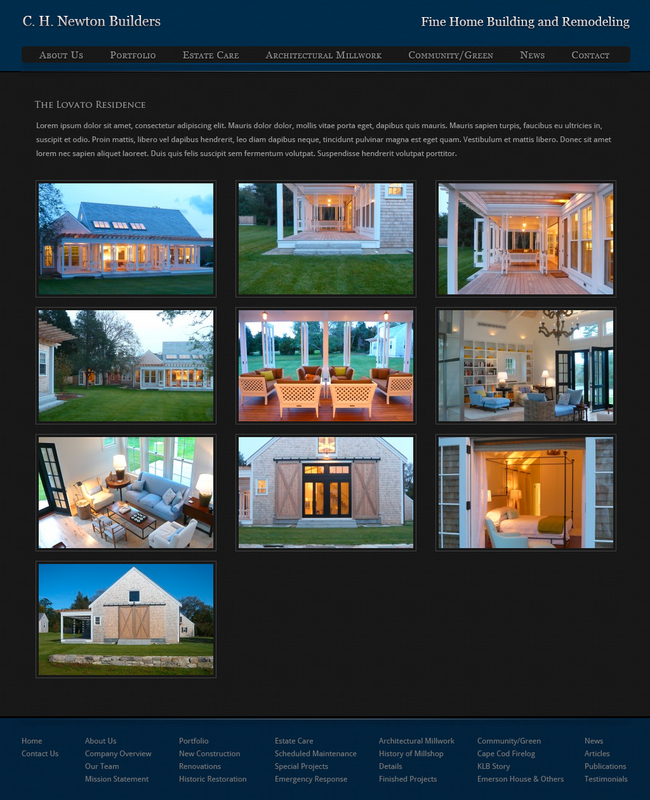 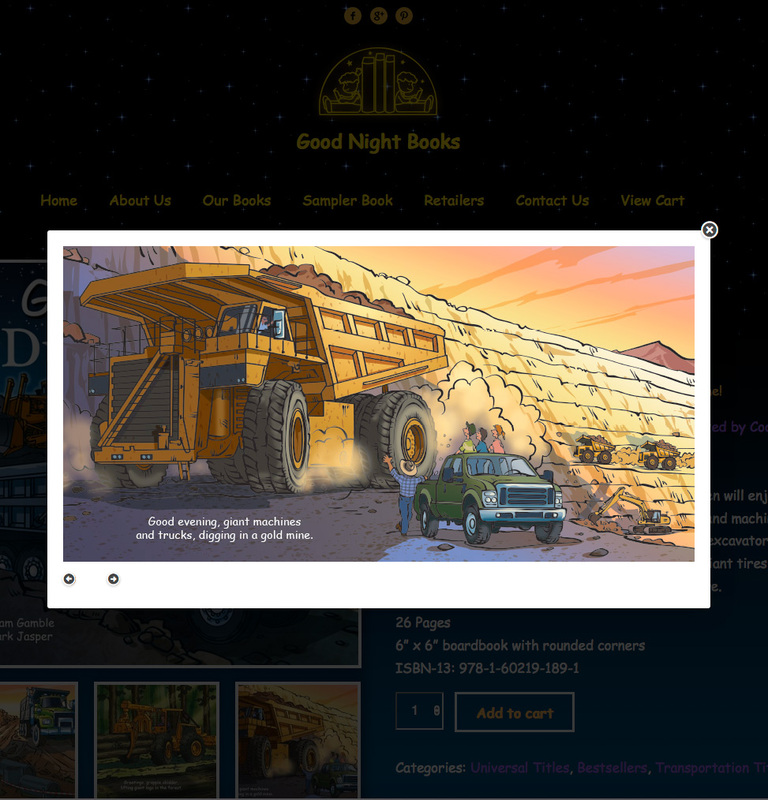 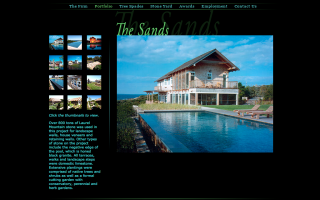 Wordpress Theme and Development – CH Newton Builders, Cape Cod. 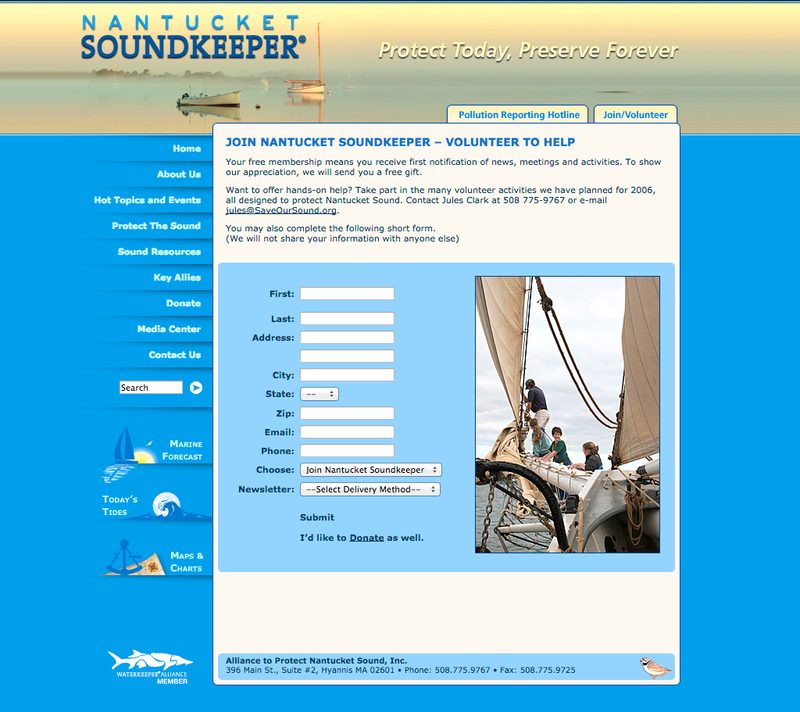 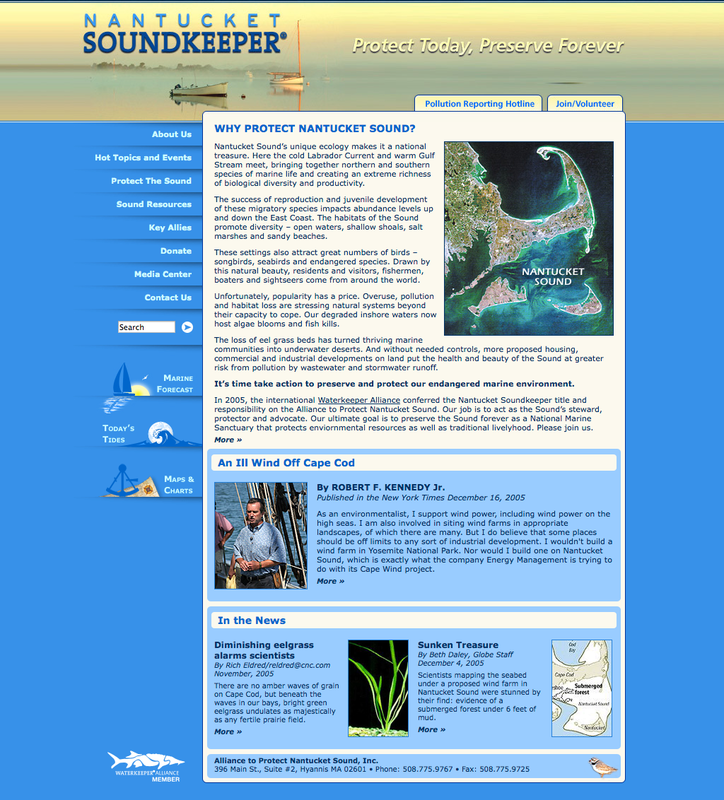 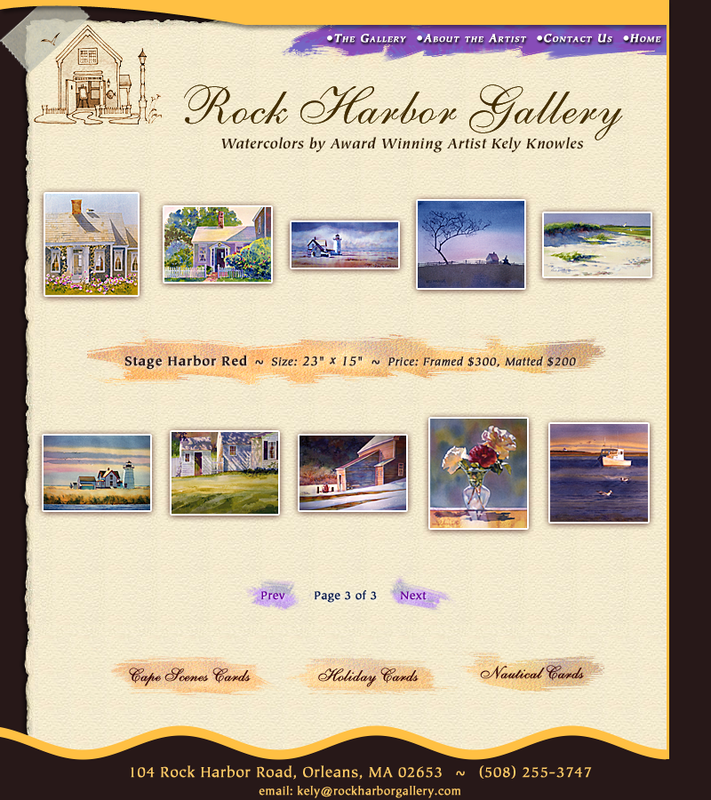 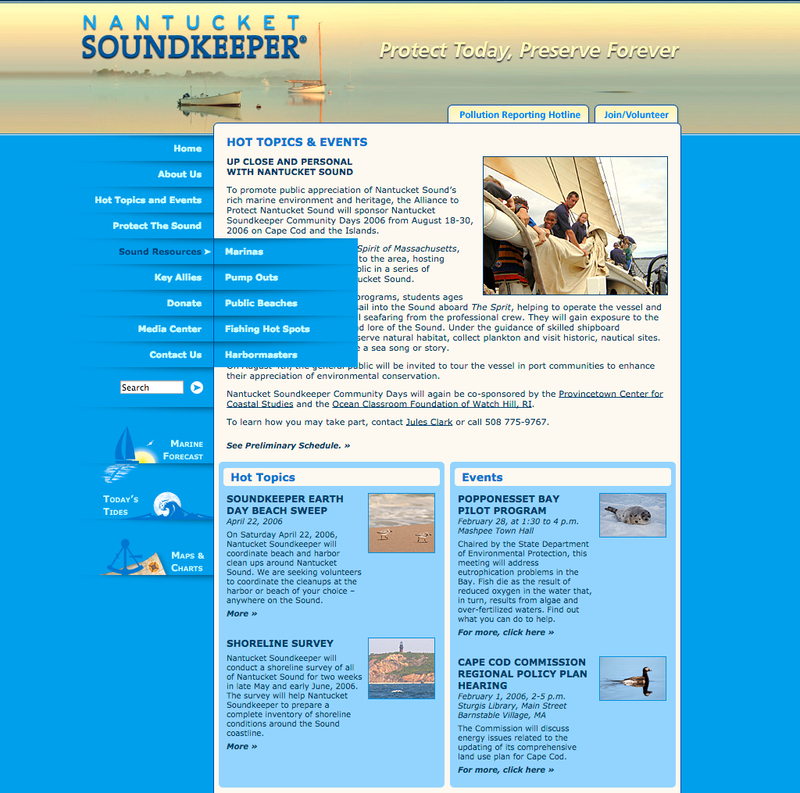 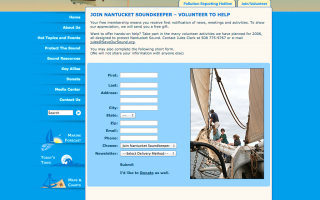 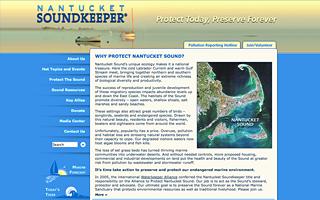 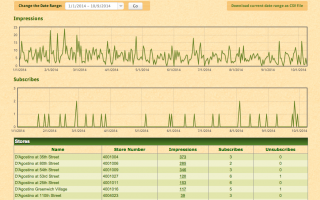 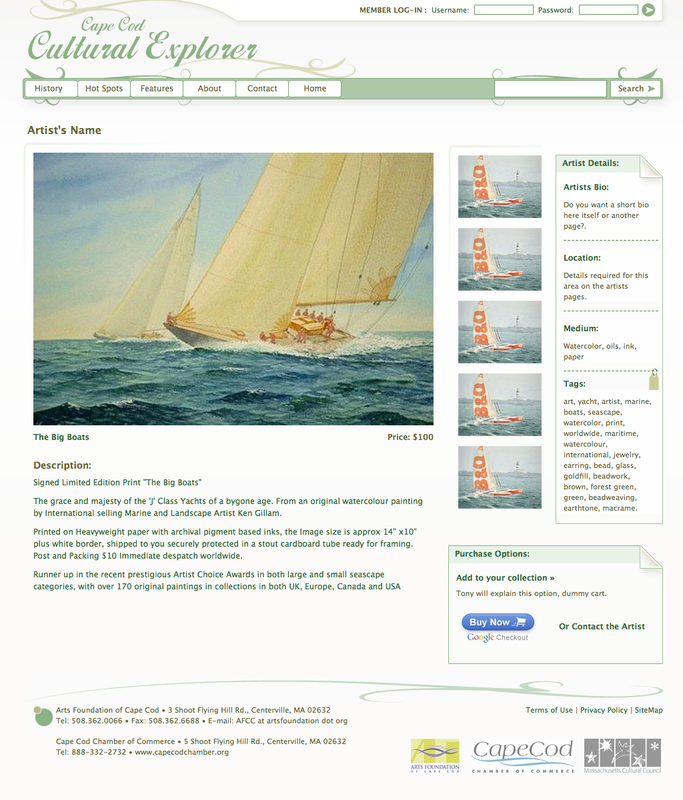 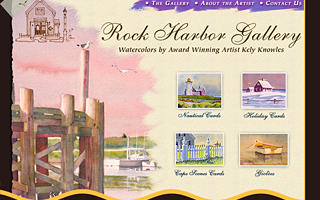 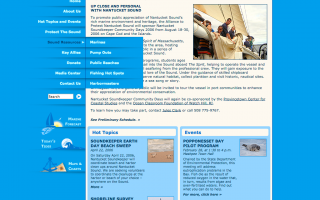 Nantucket Soundkeeper Home Page, design, markup and flash videos. 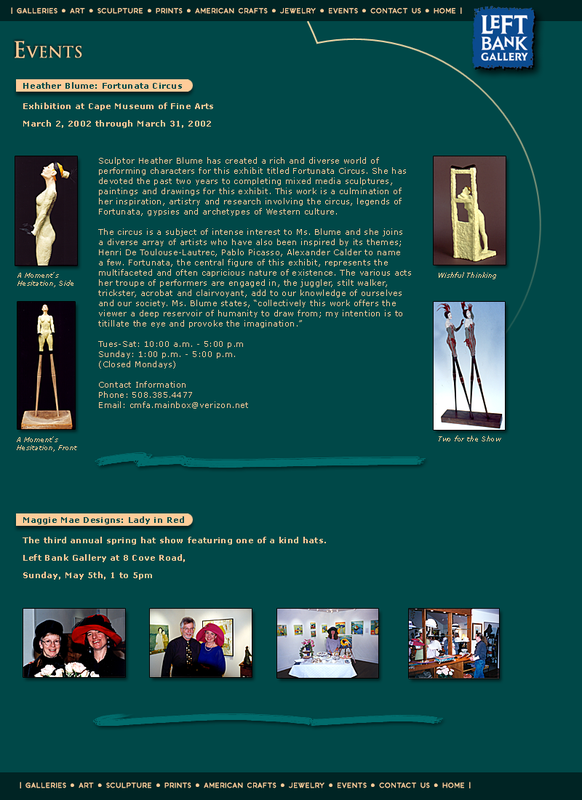 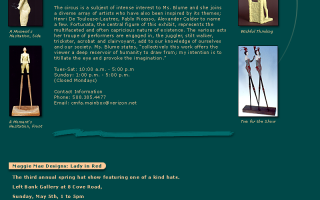 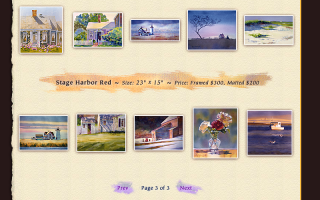 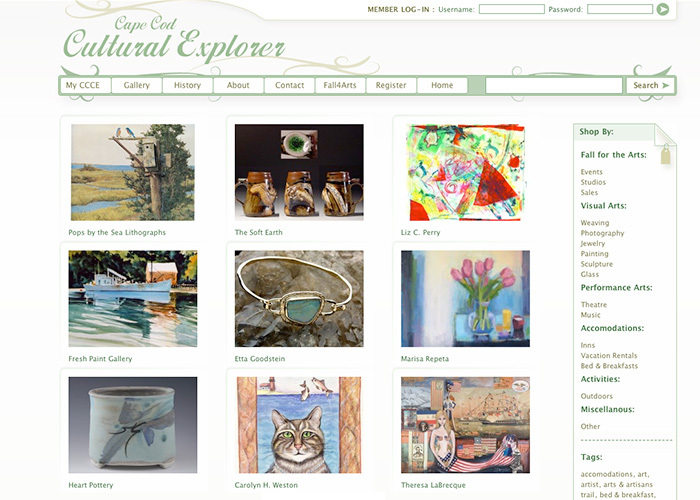 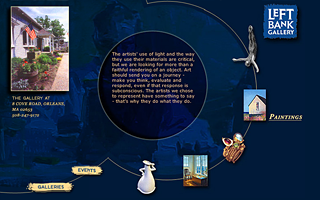 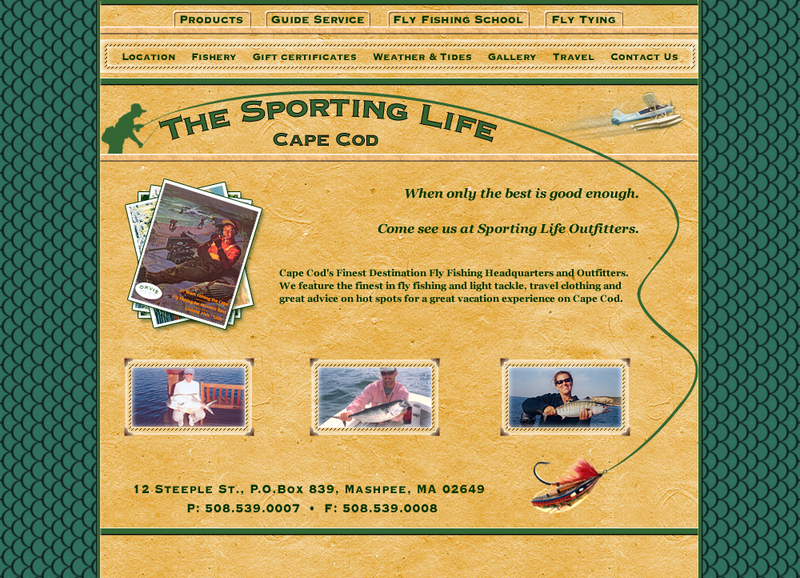 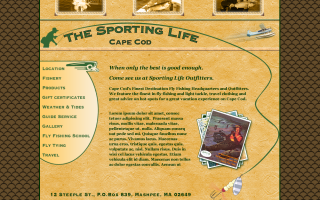 Cape Cod Cultural Explorer, design and markup. 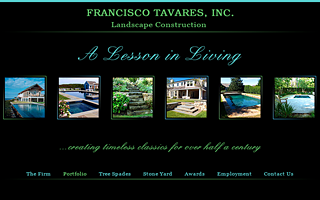 Francisco Tavares, design, markup and flash. 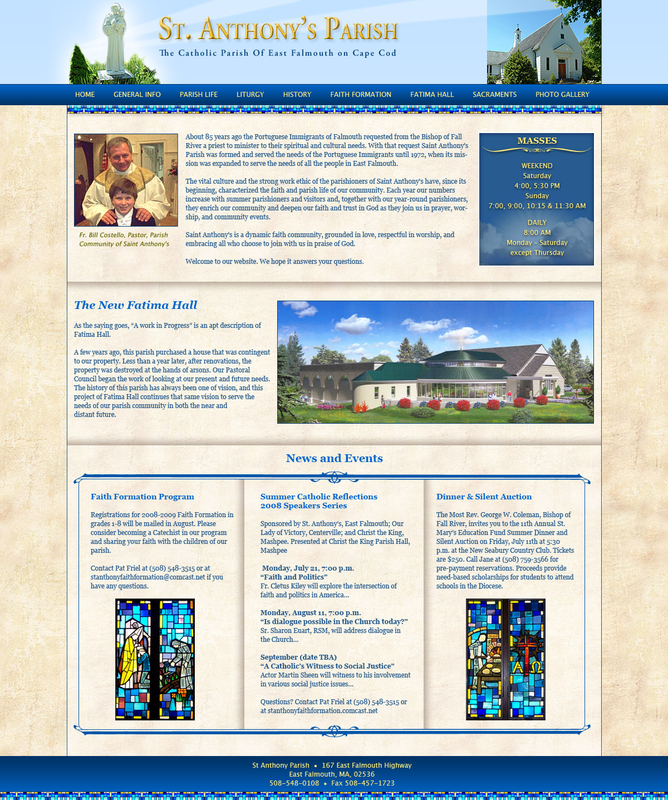 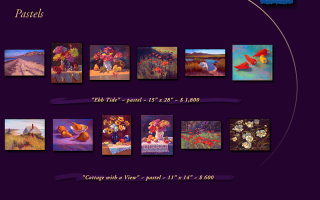 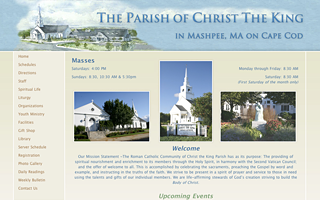 Drupal Custom Theme and Development – St Anthonys Parish, Cape Cod. 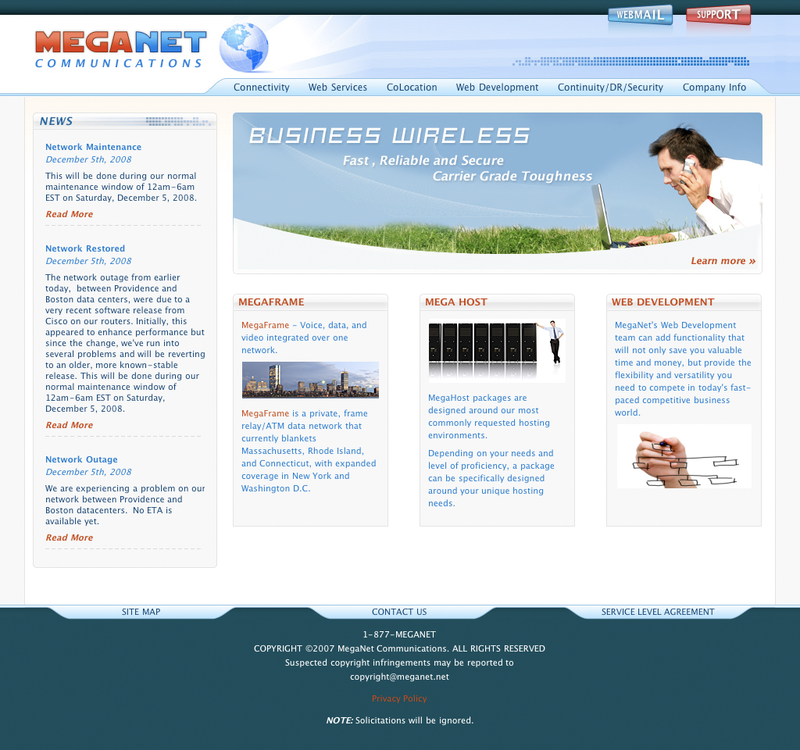 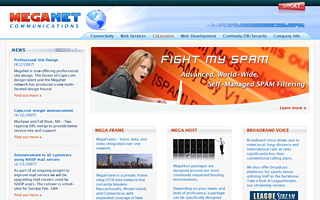 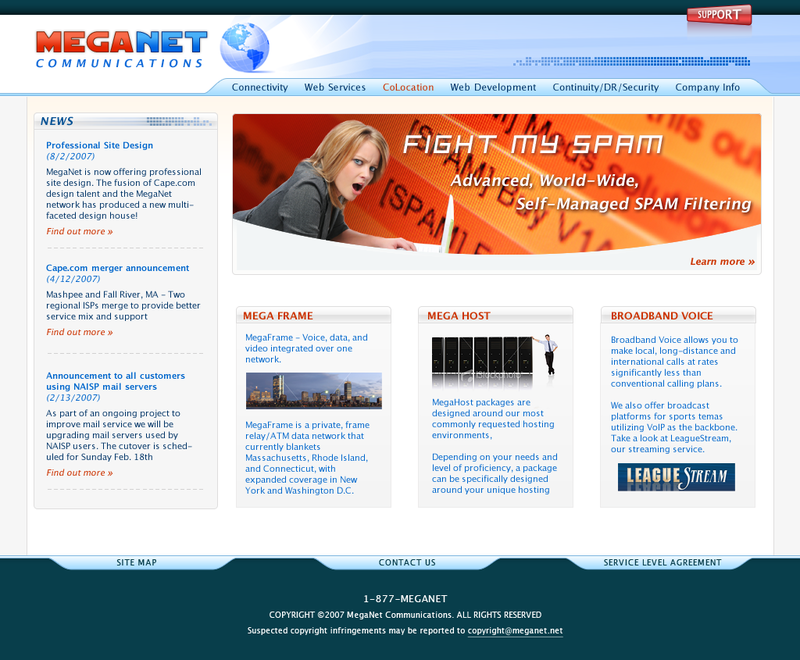 Drupal Theme and Development – Meganet.Net. 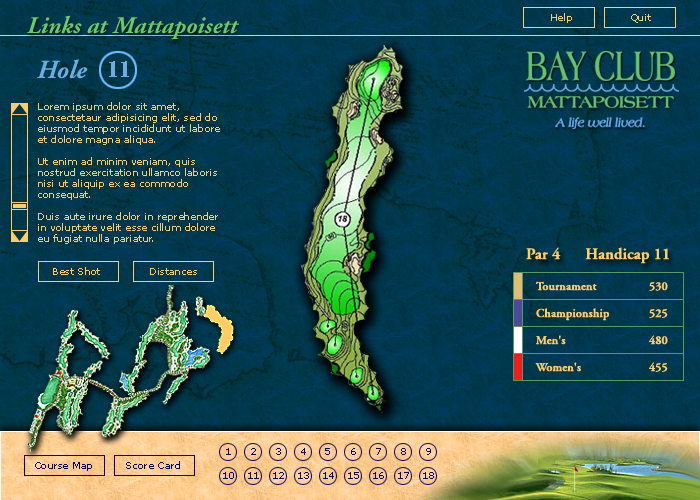 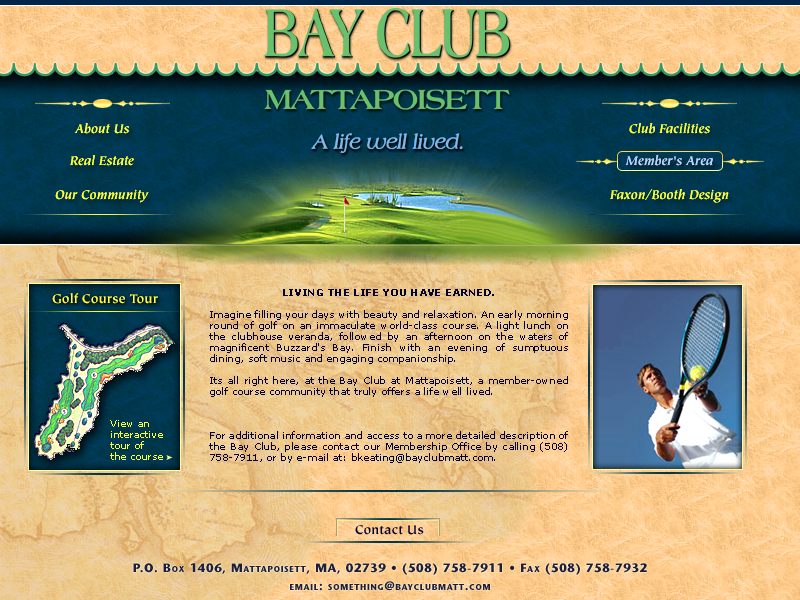 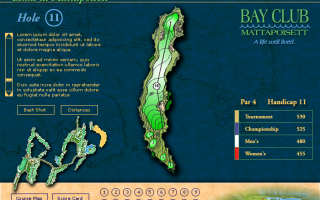 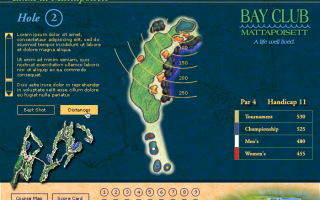 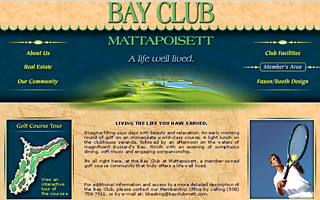 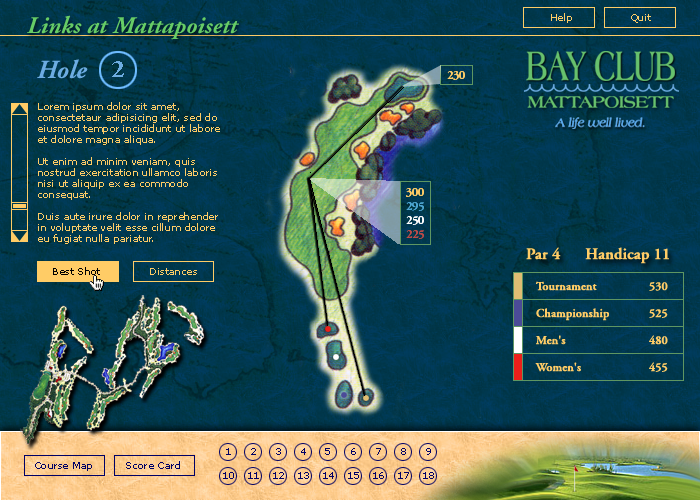 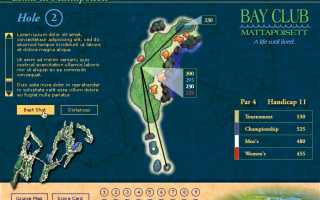 Bay Club Mattapoisset, design and golf course flash. 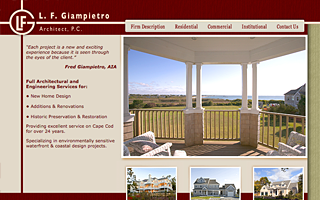 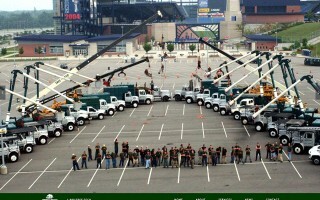 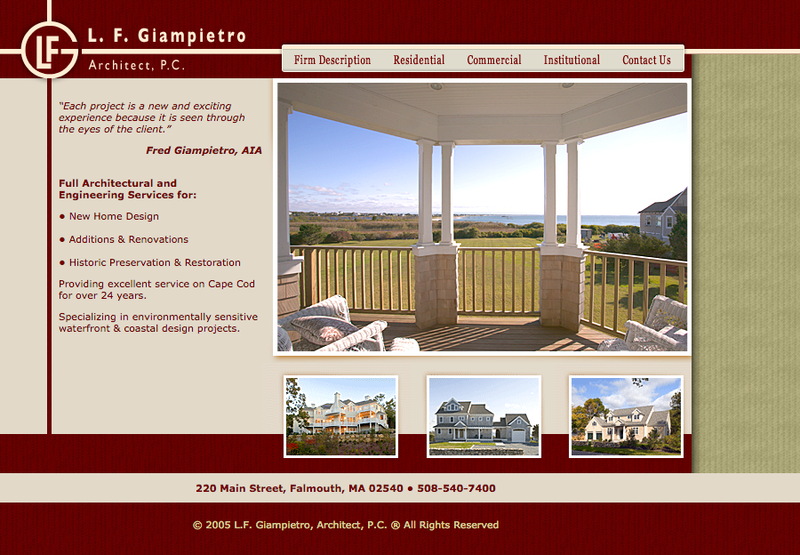 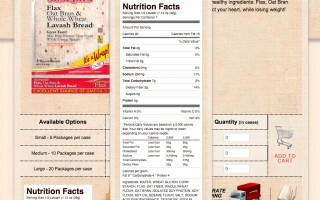 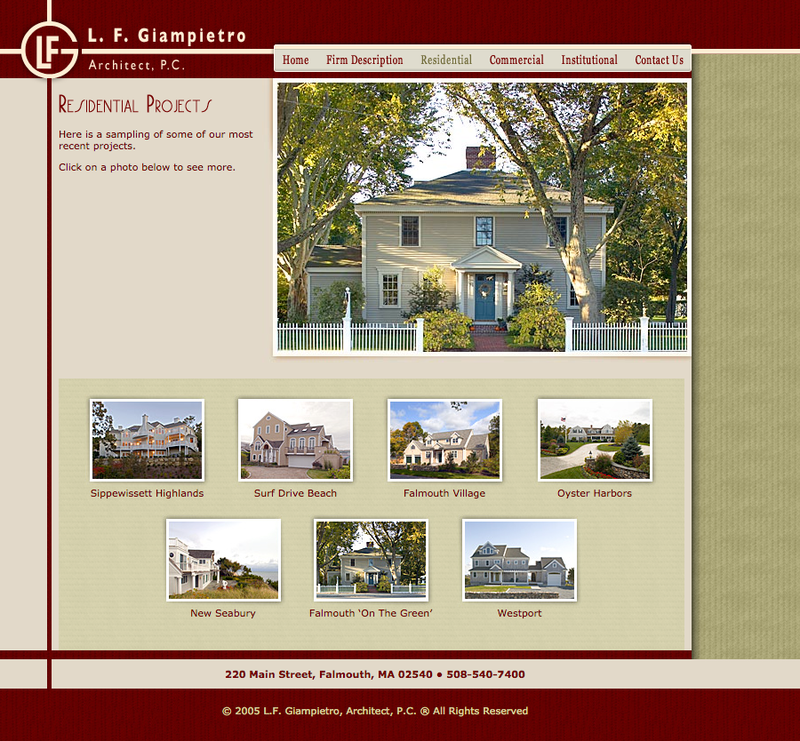 Giampietro Architects, design, markup and flash. 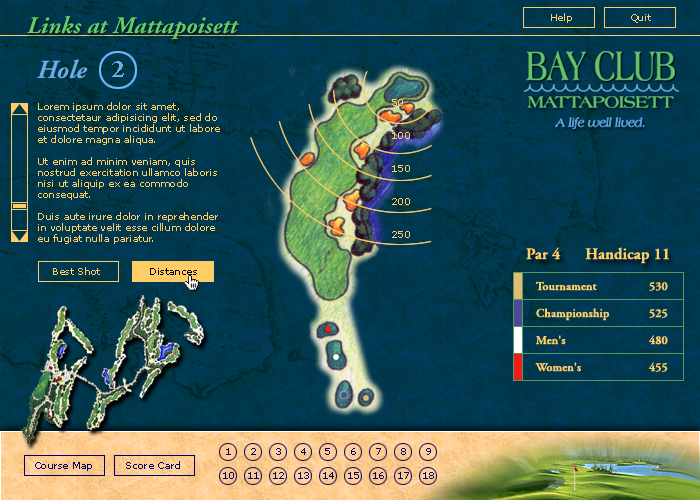 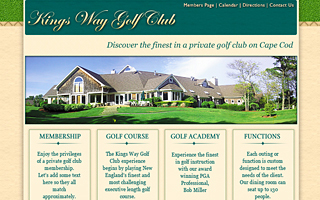 Kingsway Golf Course, design, markup and flash. 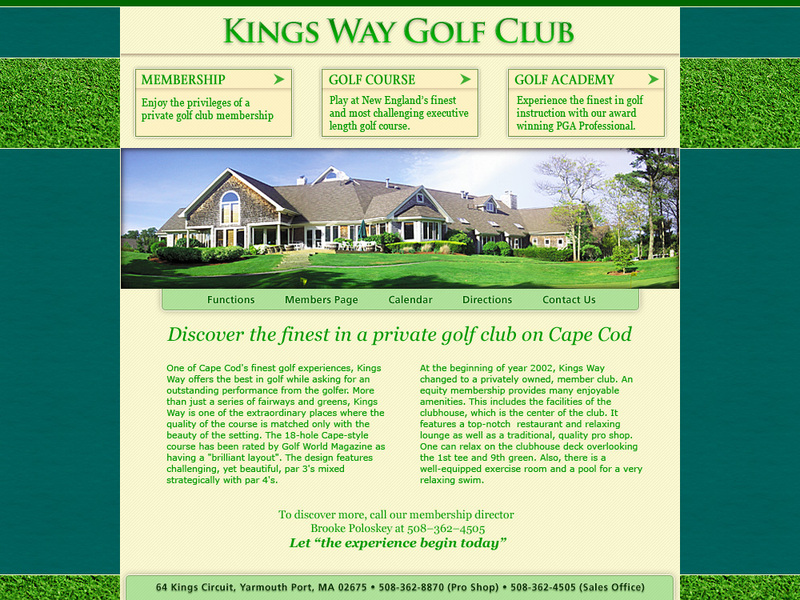 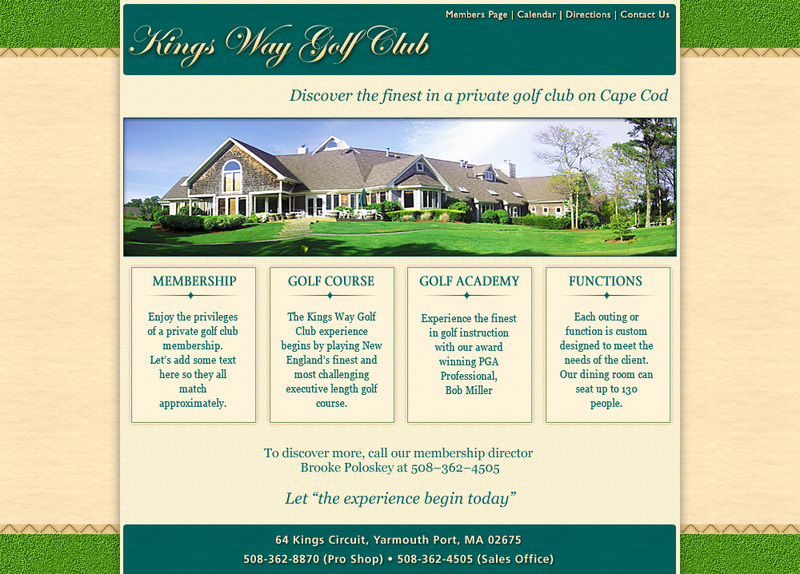 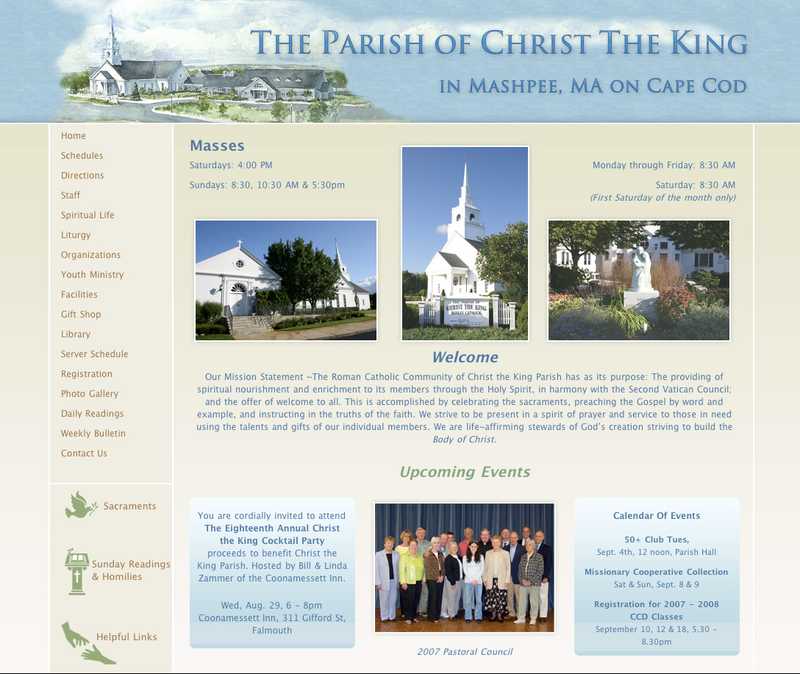 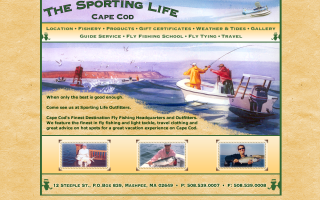 Drupal Theme – Christ The King Parish, Cape Cod. 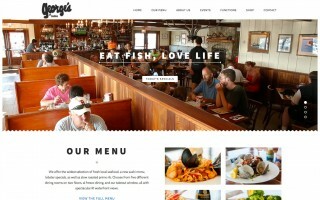 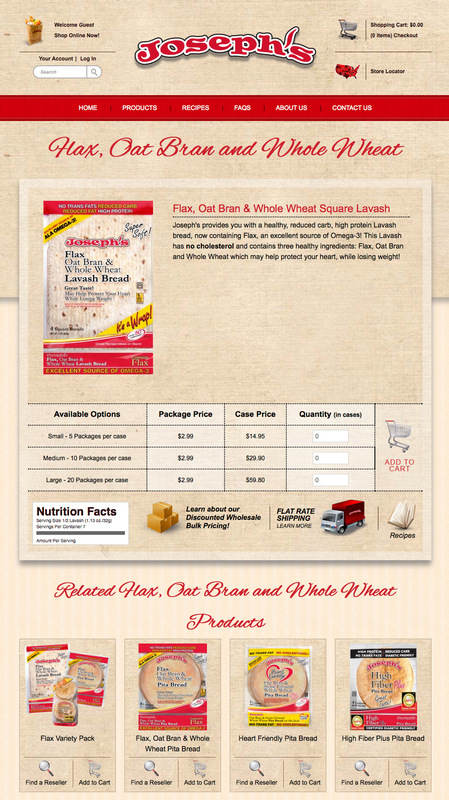 Wordpress Custom Theme, Design & Markup. 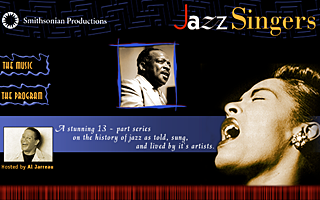 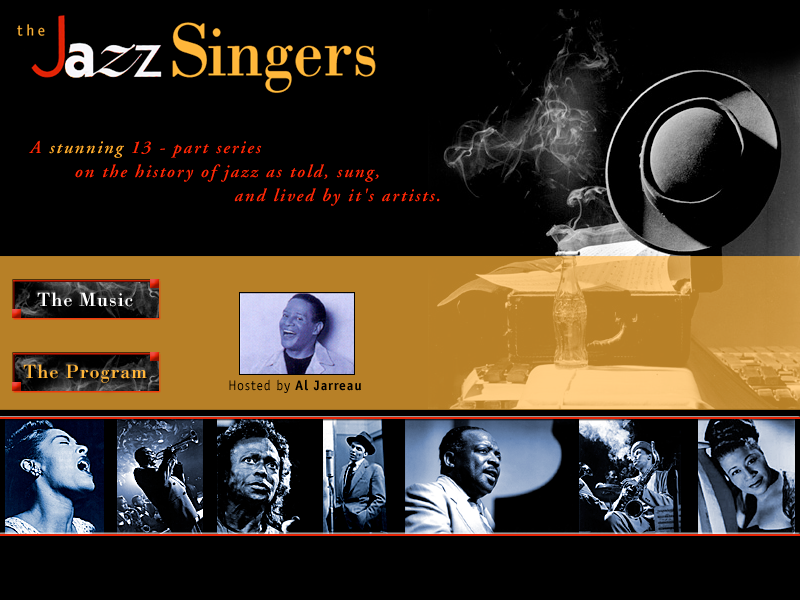 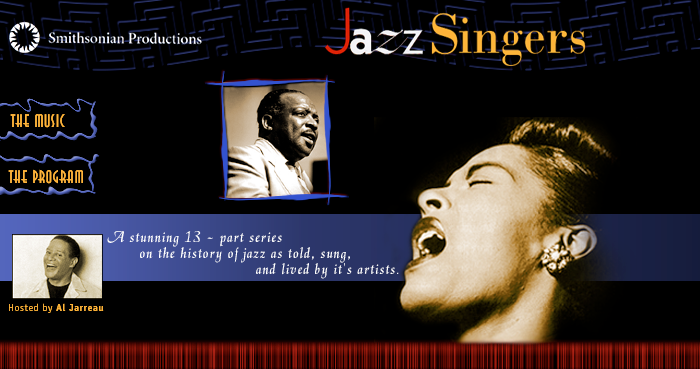 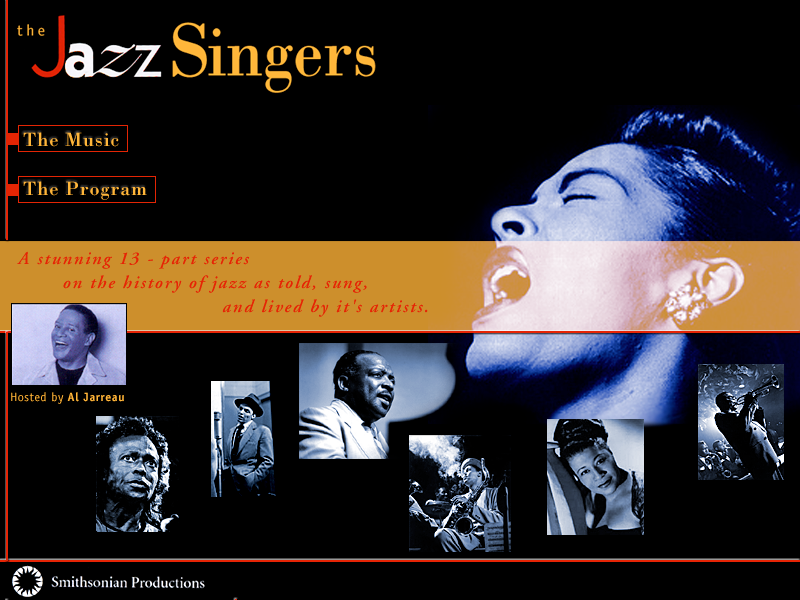 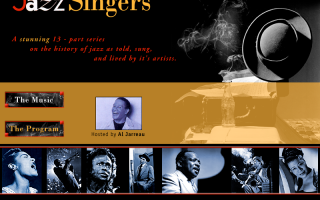 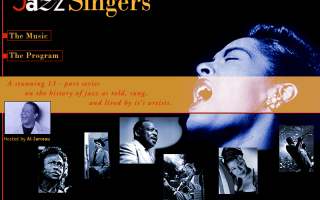 Jazz Singers Radio for Smithsonian Productions, design and flash. 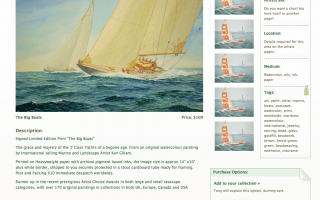 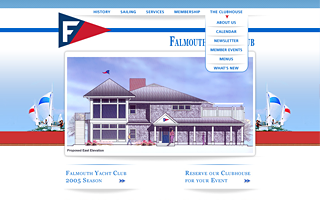 Falmouth Yacht Club, design, markup and flash. 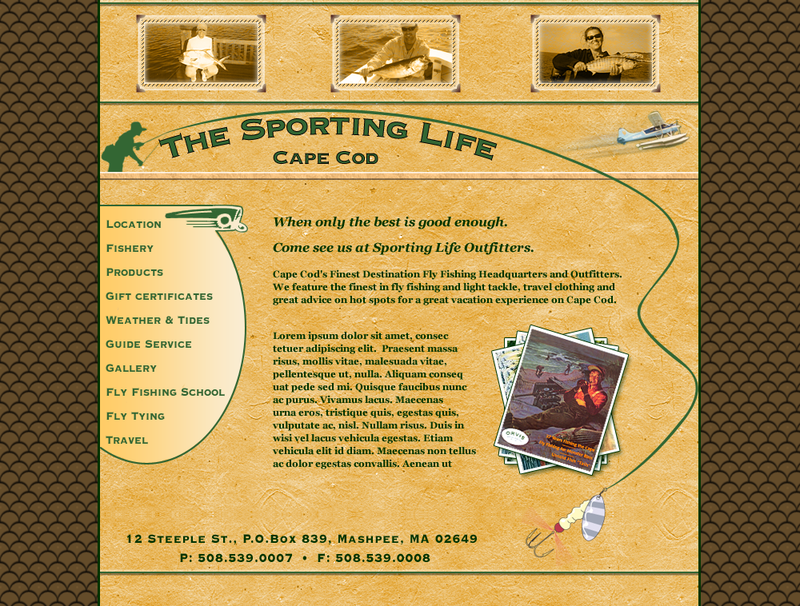 The Sporting Life, design, markup and flash. 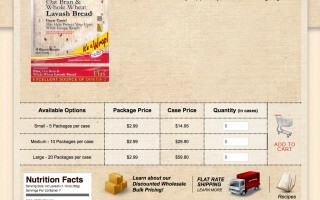 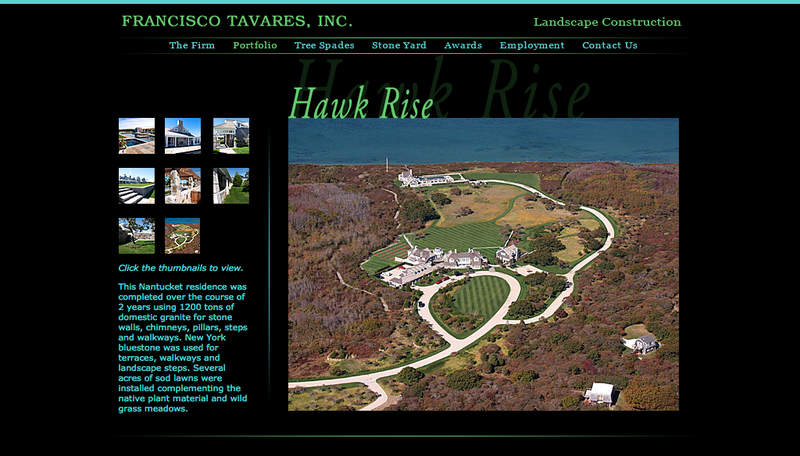 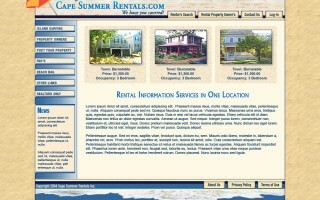 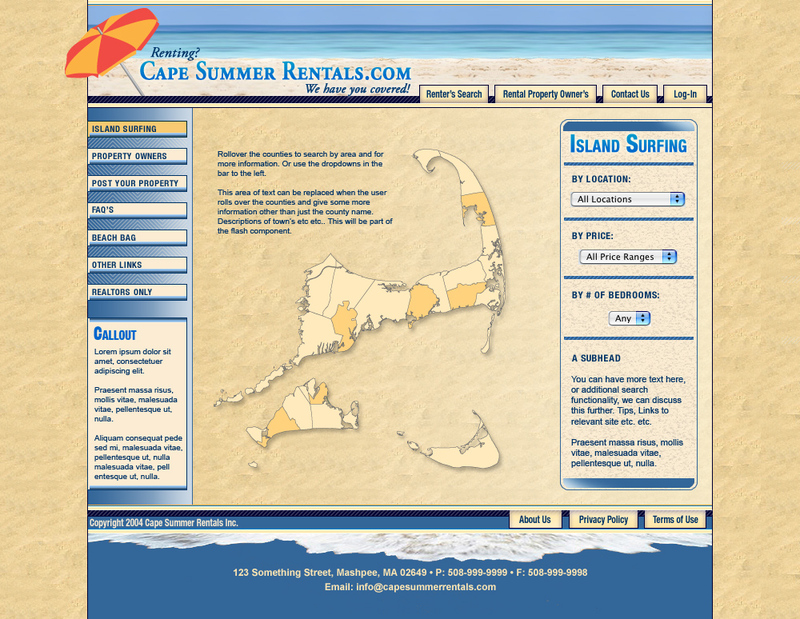 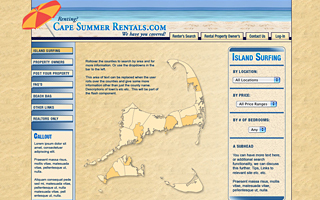 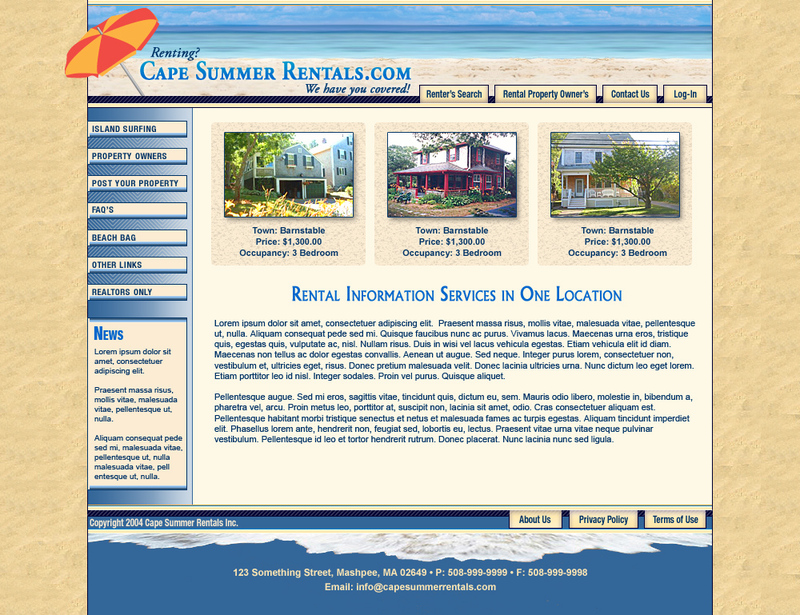 Cape Summer Rentals, design, markup and flash. 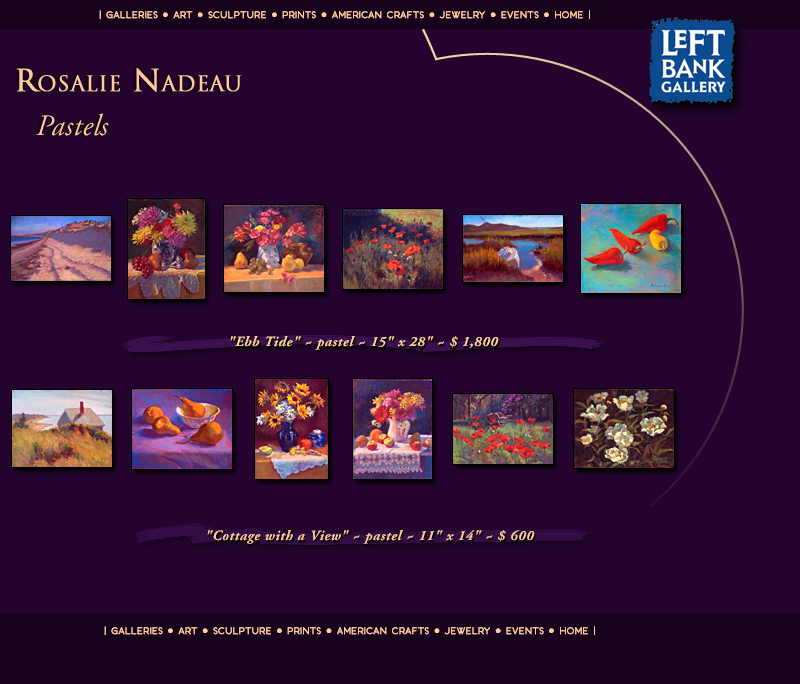 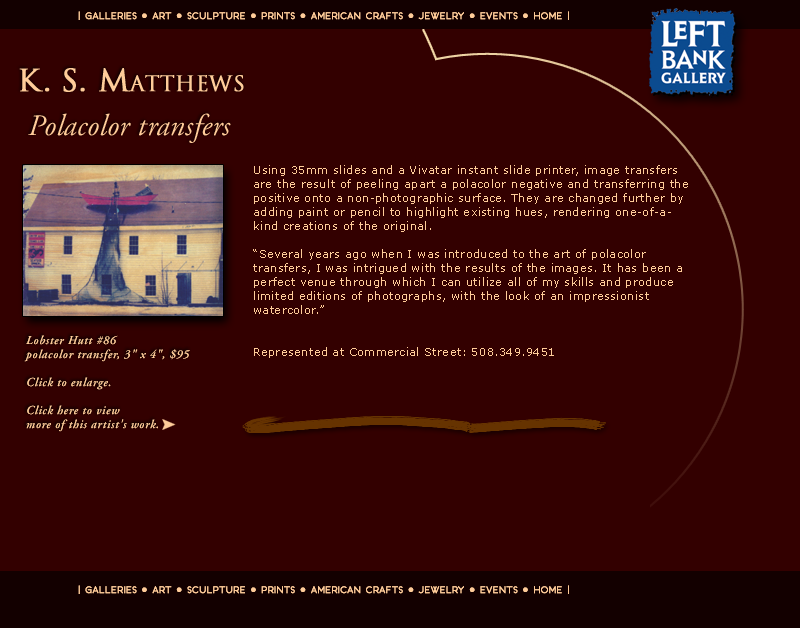 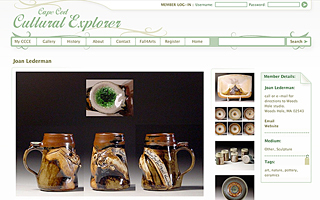 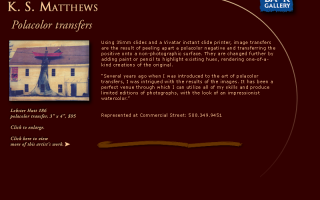 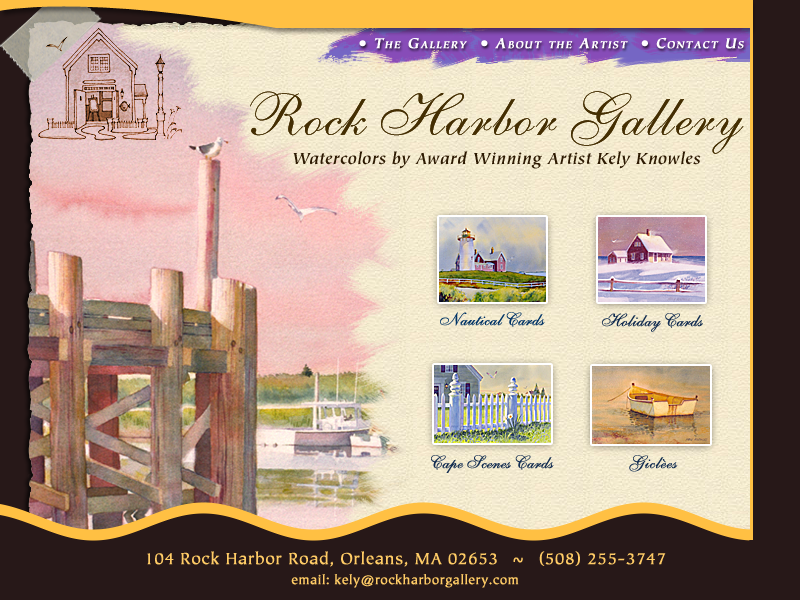 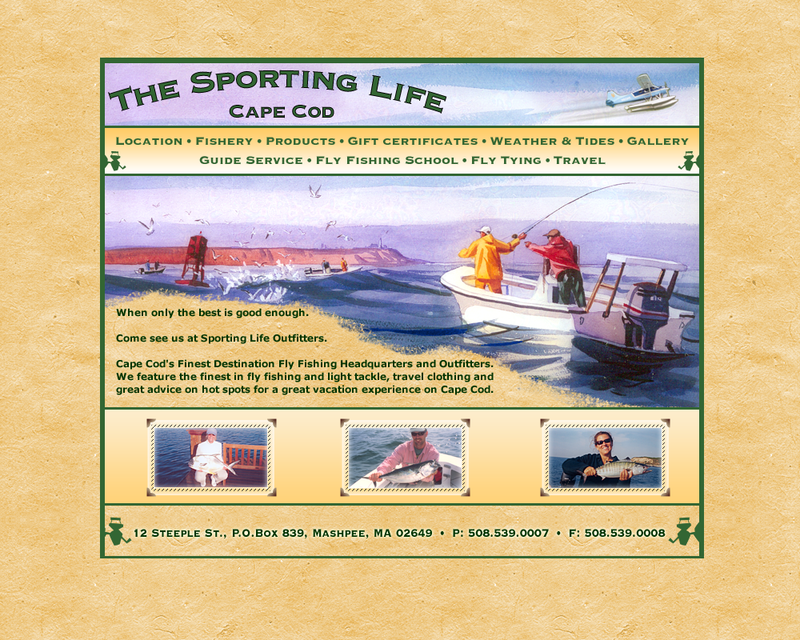 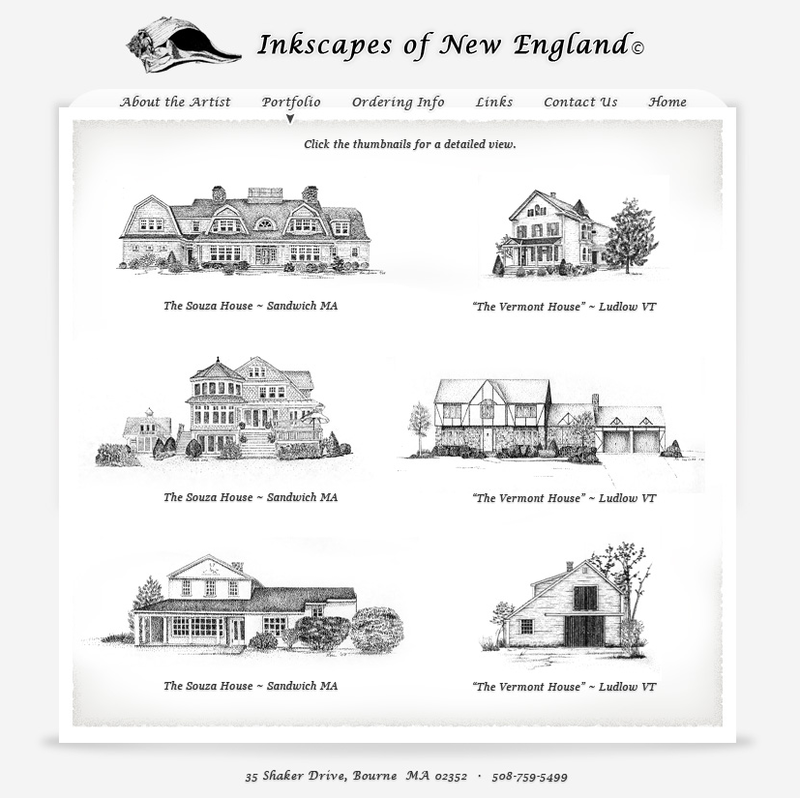 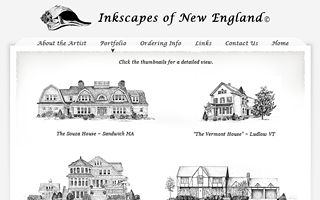 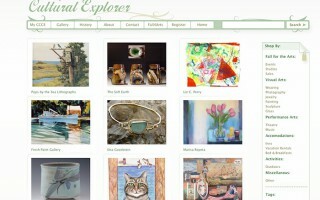 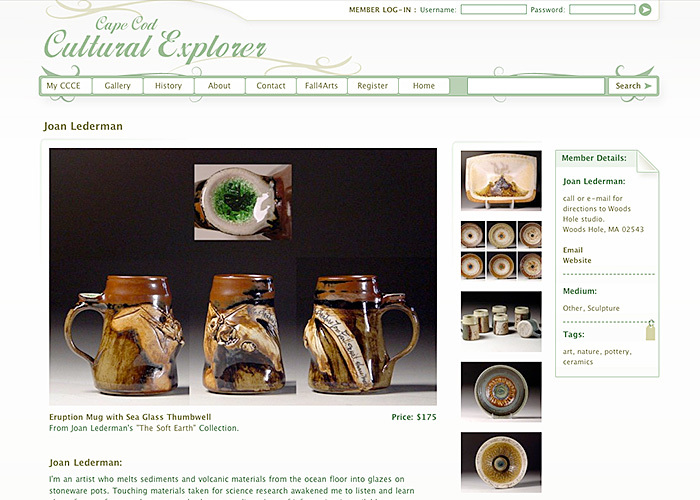 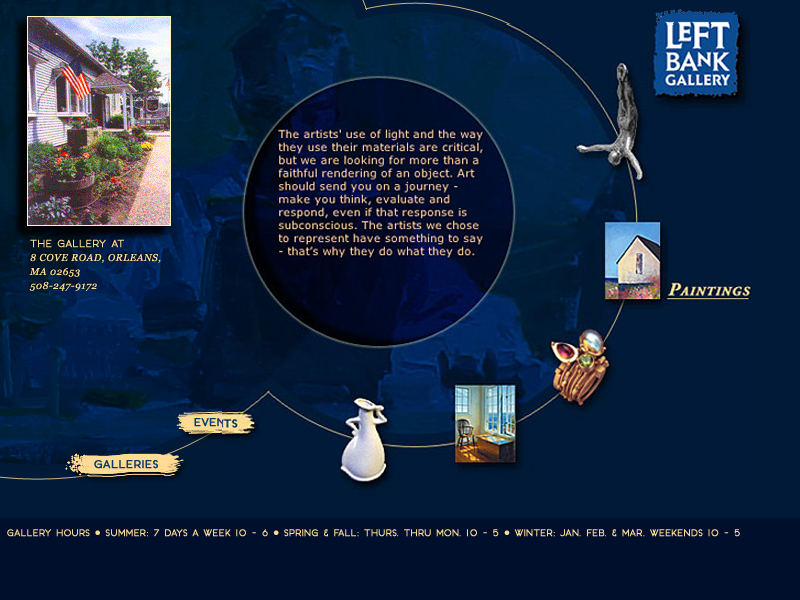 Inkscapes of New England, design, markup and flash. 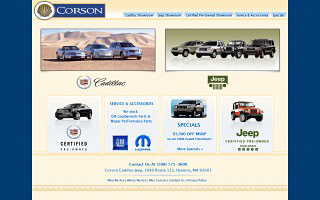 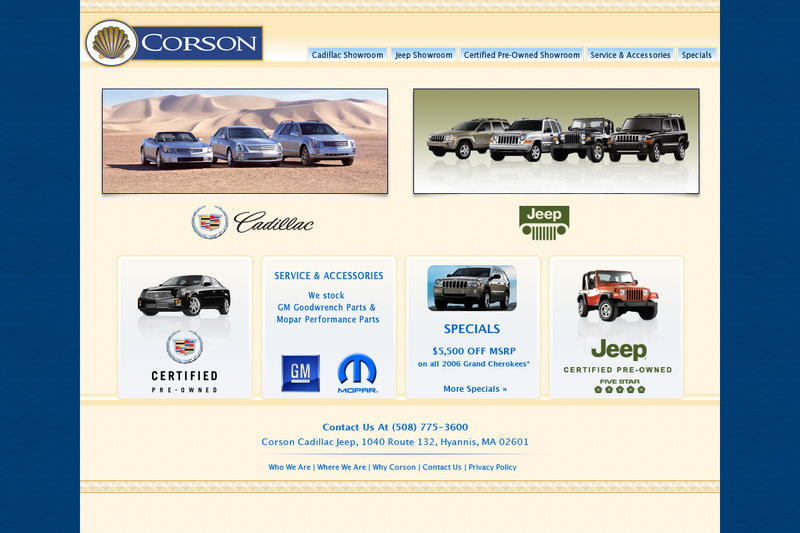 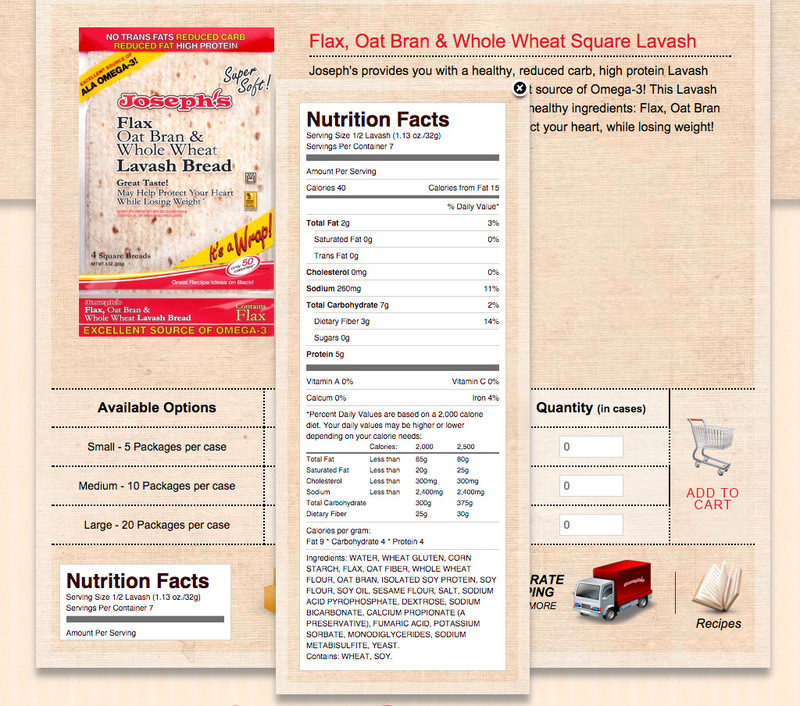 Corson Cadillac, design, markup and flash.